Marco Montuori | Who’s the pizza chef? Before understanding the role of the pizza chef, I will start with the description of the chef. 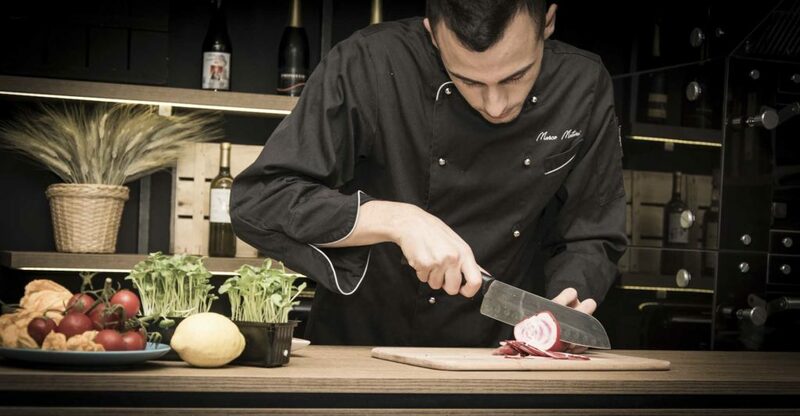 The chef is a professional figure within the restaurant industry responsible for the people working in the kitchen; the creation of recipes and menu; and the staff supervision. The professional pizza chef is just as important as a chef given his/her strong competence in the restaurant industry and the preparation of any type of dough depending on people’s preferences. The task of a pizza chef is to make accurately studied recipes special and unique to offer customers and restaurants the best quality of culinary products. Also, the pizza chef has the ability to adapt a product ad hoc for each type of restaurant according to several factors: oven, fridges, dough maker and much more. The pizza chef has good flavours’ awareness, taste in matching ingredients and attention to details. 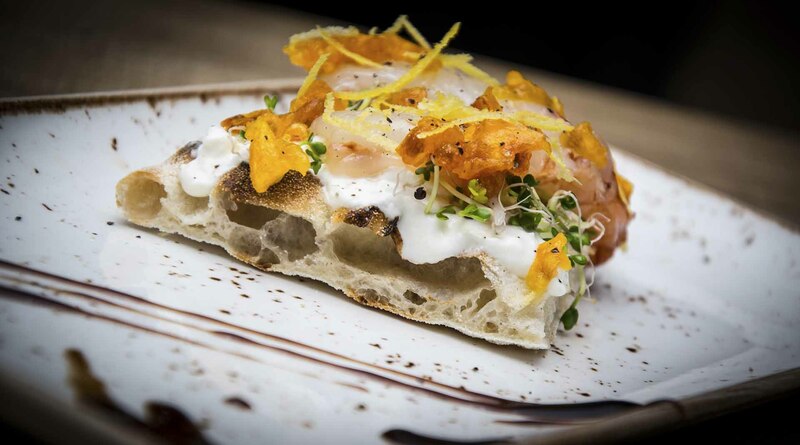 Furthermore, the pizza chef excellent proficiency in making doughs has paved the way for unique, interesting and original recipes. supervision of the finished product before serving it. The pizza chef’s role is related to the concept of food and art of cooking. The pizza chef provides people and restaurants the best quality of culinary products, which are mixed to the pizza according to taste and style. This “expert pizza chef” has the basic knowledge to make pizza gourmet, differentiates his/her menu from the standard pizzerias’ menu and encourages new opening restaurants to be innovative and offer alternative recipes. Pizza gourmet has become more and more popular among restaurants (standout ones in particular) that pay attention to quality and make the concept of good cooking their strong point. Following studies, mistakes and years spent finding the right taste, the term gourmet is used to differentiate the product from the standard. The pizza chef has trained his/her own taste and developed creativity by being accurate and meticulous in the combination of ingredients. Today pizza gourmet’s trend is to enhance less common ingredients, which customers tend to prefer, such as special spicing, the chef’s sauces, deli food, niche cheeses and much more besides. The choice of the pizza colour for a successful finished product is important too. Colours, in fact, generate different feelings and influence the costumer’s choice. The other trend is the mix between strong and sweet flavours served with light and well matured pizza doughs. From my point of view, the concept of pizza gourmet is only used to identify a type of pizza, which is less common and more beautiful than standard pizzas. However, the term gourmet should be only used for very special and expensive fillings. The combination between Premium raw materials, at the heart of the gourmet concept, inspiration and culinary talent will pave the way for the pizza gourmet par excellence. The pizza doughs are very important and must comply with specific standards as not all the pizza doughs are suitable for each situation. It follows that doughs need to have a number of appropriate characteristics: aroma, rising, tastes, which also garnish the filling. The pizza dough is a key step in the preparation of the dish. The pizza chef, therefore, needs to know all about doughs as well as be highly qualified. Doughs need to be always very light, matured, melted and well structured. According to the most appropriate school of thought, doughs up to the best expectations have little calories and lots of taste. Pizza dessert is as good as pizza doughs. Pizza dessert has recently become more and more popular at the end of meals since curious customers can choose outside the box desserts. When making pizza dessert, there is the opportunity to enjoy oneself with the preparation of different type of creams, fresh and dry fruit; and, chocolates and liqueurs to favour costumer’s good mood and leave taste buds in ecstasy. Desserts need inspiration too, therefore, it is important to think out of the box. This video is an example of an unconventional dessert to end the evening with a bang. The lack of a real pizza chef behavioural code, I think that a pizza chef is a person with a “tool kit” useful for organisational precision, study of the pizza doughs maturation and rising processes; and, professional achievement. It follows that the pizza chef is meant to be a specialist of food and nutrition; up-to-date; and, open minded towards the world populations food traditions: religious, ideological and personal (intolerances and allergies) habits. The pizza chef will provide the product best testiness and make detailed recipes unique and special.